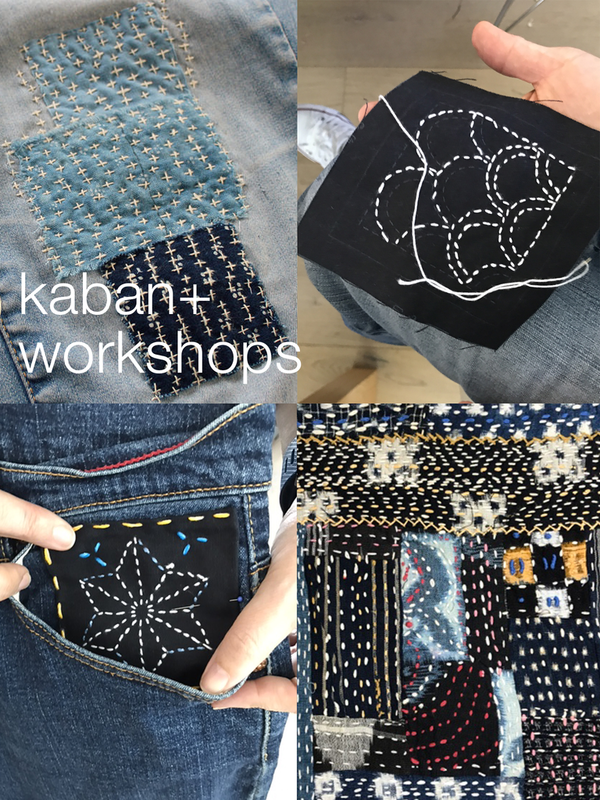 With a special emphasis on the Japanese art of sashiko, this class will teach students to repair and patch their favorite clothing. Sashiko, or "little stab," stitching combines embroidery with quilting and creates a finished piece that is both useful and beautiful. For this class, we will create a sampler to practice various stitches, then each student will showcase their abilities on a final project. Bring an article or two of clothing that needs mending: torn denim, a dress or blouse (If you'd like to work on a t-shirt, we suggest bringing 2 or more). We'll supply fabrics for patching, various color thread and needles -- as well as a light lunch, beverages, and great conversation! CLASSES ARE HELD IN MAR VISTA, LOS ANGELES. AN ADDRESS WILL BE SENT THE WEEK BEFORE THE WORKSHOP. Future 2017 workshops may include reconstructing t-shirts, making messenger bags or pochettes from salvaged materials, and mixed media up-cycling. Please send us an email and let me know what you're interested in!